In Bahrain, the Solidarity Center supports trade union efforts to organize and educate a cadre of skilled labor educators and grassroots activists. 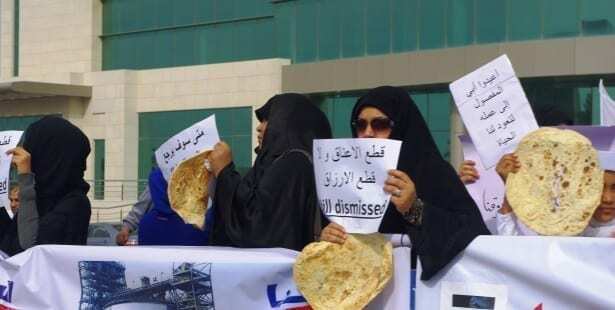 In the Kingdom of Bahrain, workers have labored tirelessly to secure their fundamental rights. The General Federation of Bahrain Trade Unions (GFBTU), one of the most active trade unions in the Gulf states, represents workers regardless of political, sectarian or national differences. The GFBTU has worked to bridge the divide between various factions and nurture the collective identity of Bahrain workers. The GFBTU has remained a stalwart voice for the respect of international rights despite the challenges it faces from government-sanctioned initiatives to persecute the federation and its more than 28,000 members. Since 2005, the Solidarity Center has worked with the GFBTU to help build its capacity as a representative trade union. Joint programs on gender equality, youth empowerment, migrant worker advocacy and the protection of the freedom of association have helped build the cooperative partnership between the GFBTU and the Solidarity Center.